A critical piece of federal legislation is in the works that, if approved, would allow abortions to take place in military hospitals and homosexuals to serve openly in our military. The appropriations bill has already passed the House, and could be voted upon at any time in the Senate. Sen. John McCain has agreed to object to the bill, and this will hold it back for a while. The Senate version of the Defense Authorization Bill includes Senator Roland Burris’s amendment, authorizing abortion in military hospitals. Besides that, the bill will repeal the 1993 law regarding homosexuals in the military, Section 654, Title 10, U.S.C. For both reasons, it’s urgent to call your two U.S. Senators to ask that they vote to uphold Senator John McCain’s objection to the bill. urging them to Vote NO on the Defense Authorization Bill. Or call them by Clicking Here. Due to my deeply held religious beliefs, I ask you to OPPOSE the NationalDefense Authorization bill. For the good of America, I urge you, with all my soul, to keep abortions out of military hospitals and homosexuals out of the military. Unless BOTH of these faith-based reasons are satisfactorily addressed in the bill, I expect you, as my representative, to OPPOSE the NDA bill. 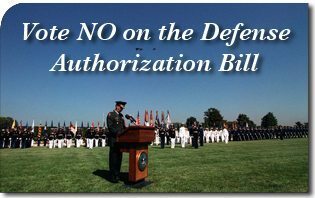 Please do everything legally and humanly possible to stop the National Defense Authorization bill as it now stands. Vote NO on the Defense Authorization Bill. You can also get the phone numbers of your two senators. 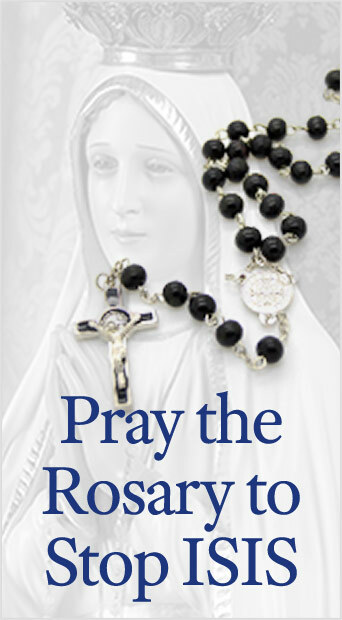 This entry was posted in Events of 2010 and tagged American Society for the Defense of Tradition, Defense Authorization Bill, Family and Property, Reign of Mary, Section 654, Sen. John McCain, Senator Roland Burris, Title 10, U.S.C. by John Horvat II. Bookmark the permalink.